. Blue . Blind Tiger (BVD) Oct 6, 1928 .
. Evergreens . Princess Dorothy (JAB) Oct 31, 1928 .
. First Violin . Princess Dorothy (JAB) Oct 31, 1928 . Our Women Virus Homo (??) Nov 7, 1928 . Whistler . . Blind Tiger (BVD) Nov 7, 1928 .
. Sunset . Princess Dorothy (JAB) Nov 8, 1928 .
. Night Ecstasy . Princess Dorothy (JAB) Nov 8, 1928 .
. Armistice . Princess Dorothy (JAB) Nov 14, 1928 . Whistler . . Blind Tiger (BVD) Nov 21, 1928 . Whistler . . Blind Tiger (BVD) Nov 22, 1928 .
. The Futility . Princess Dorothy (JAB) Nov 14, 1928 . Whistler . . Blind Tiger (BVD) Nov 23, 1928 . The New Chapel Virus Homo (??) Nov 23, 1928 . Whistler . . 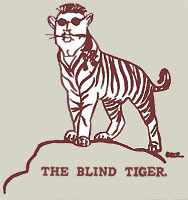 Blind Tiger (BVD) Nov 27, 1928 . Whistler . . Blind Tiger (BVD) Dec 5, 1928 . Whistler . . Blind Tiger (BVD) Dec 7, 1928 . Whistler . . Blind Tiger (BVD) Dec 14, 1928 . Whistler . . Blind Tiger (BVD) Jan 8, 1929 . Whistler . . Blind Tiger (BVD) Jan 9, 1929 . Whistler . . Blind Tiger (BVD) Jan 16, 1929 .
gorgeous lady . Tiger Van Deusen (BVD) Jan 16, 1929 when fighting?? Whistler . . Blind Tiger (BVD) Jan 17, 1929 . Whistler . . Blind Tiger (BVD) Jan 22, 1929 . Whistler . . Blind Tiger (BVD) Jan 23, 1929 .
. Winter Madness . Princess Dorothy (JAB) Jan 29, 1929 . Whistler . . Charley the Spaniard Feb 27, 1929 . Whistler . . Charley the Spaniard Feb 28, 1929 . Know Spring . Princess Dorothy (JAB) Mar 5, 1929 . Publicity Bobbie Mac Mar 6, 1929 . Whistler . . Charley the Spaniard Mar 7, 1929 .
. An Egyptian Temple . TVD (BVD) Mar 7, 1929 . From knowing very little about my father, to discovering his courtship of my mother in their college paper, has been an emotional journey for me. The stories that I had heard of him described a man large in stature and large in emotions. From mother I had received the impression that the tornado that was father was created by the external winds of alcohol. From this column I've learned that he carried the tornado within himself. The alcohol probably just made it whirl a little faster. I only knew father from the letters he had written begging mother to come back. I found them terribly sad. I've found this column to be as well. I'm also shocked that it is the identical man at the age of 23 and at the age of 47. One thinks of 23 as so young. But since he also died young, father was already at the midpoint of his life when he wrote this column. What follows is a chronology of the relationship of my father and mother over the half year they courted in the public pages of The Daily Maroon. In response to a call from Louis H. Engel for Daily Maroon volunteers, Bradley Van Deusen offers, and is given, the newspaper column, The Whistler. Twelve days later an early entrant, 17 year old freshman Jean Butridge, submits a poem. She had been active on her high school newspaper, and joins up now as a college reporter. Having met over a scheduling conflict for a typewriter, Bradley is interested in Jean, and two months after his column starts he attempts to get her attention. Jean lets him know that she's not interested. About two weeks pass and Bradley is still getting nowhere with Jean. He pushes, and this time he seems to have caught her attention because, two days later, he writes a poem to her that assumes he's spent enough time with her to have opinions about her. The boy moves pretty far pretty fast. Actually, he was interested in moving quite a bit faster, if you take his poem of 9 days later as indicative of their relationship. Notice that his pseudonym has changed from his two public pseudonyms, tiger variations and The Stumble Bum. That's because Bradley has already made one bad mistake with Jean -- he's brought her to public attention. If there was anyone who wanted to stay behind the scenes, it was Jean. Clearly the Whistler crew knew about their relationship, but she was probably horrified that the campus did as well. One can see that Bradley isn't getting what he wants after they've been going together less then a month, and he next tries a humorous approach. But Jean makes clear that he's not going to get what he wants from her! The relationship must have hits the skids because about a week later, in his full page closeup column of the quarter, Bradley's back to general topic poetry, along with a complaint that "There is a lot uv prime fillies here but they aint nosin' yer pardner." Jean's contribution is the brushoff, Parting. Bradley isn't pleased with their relationship falling apart, and he leaves Jean for the Christmas break with a little romantic pathos. The three week separation does seem to have cleared the air a bit because, in their next public/private communication, Bradley begs Jean's forgiveness for "shattering the soft platitude of your life" by his passionate desire. Not the most complementary of apologies. Jean seems surprisingly solid for a 17 year old. While admitting that she loves her Saturnine Seaman, she's still willing to let him walk because she's "slow in giving." And just as Bradley is using a new pseudonym for this public discussion, Jean switches from her normal Princesse Dorothy pseudonym to a new one, Mary, the name she eventually chooses for her daughter. Me! She saves Princess Dorothy for a poem on egoists. Hmmm. For the next two weeks, Princesse Dorothy disappears from The Whistler, and Bradley reverts to general topics and an interesting poem about the culmination of a relationship. When Princesse Dorothy returns, it's with a pretty downer piece about the greyness of the winter. But if Bradley is having less time with Jean, he's clearly still bonding with his merry band of Whistleers. 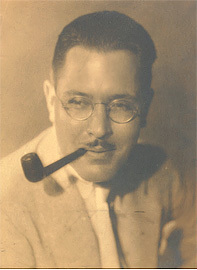 The publisher of the paper, Louis H. Engel, contributes a bitter sweet biography noting that "the Lord Himself may have lost track of this boy at some stage of the game." As so he would. But the time Bradley has left in the school is coming to an end, and the army calls him back to New York. Within a week, the column has been taken over by one of the crew and his friends say goodbye to The Blind Tiger. Jean is still gone from the column, and Bradley makes it very clear that he misses her, and badly. Jean, returning to the column now that he's gone, gives him no comfort. Through with pseudonyms now, Bradley sends back a poem in his own name that could be interpreted as accepting the end of their relationship, the loss of "the love that can't be kept." That is, if it weren't for one thing -- the subject of his poem -- Suskind. Well, maybe something of his love has been kept.